It can be pretty distressing for you and your baby when they are teething. It's painful for them and as a parent you can feel like there's nothing you can do to help them out. But there are things you can do once you've spotted the first signs of teething. We spoke to Parenting Consultant Sarah Cozens from expert advice website Greatvine.com to find out more. She told us that you'll normally spot the first signs of teething at around six months, but it can take up to a year, or your little one might even be born with teeth! Your child will probably stop teething at around two-years-old. The most obvious signs of teething are, of course, teeth coming through. 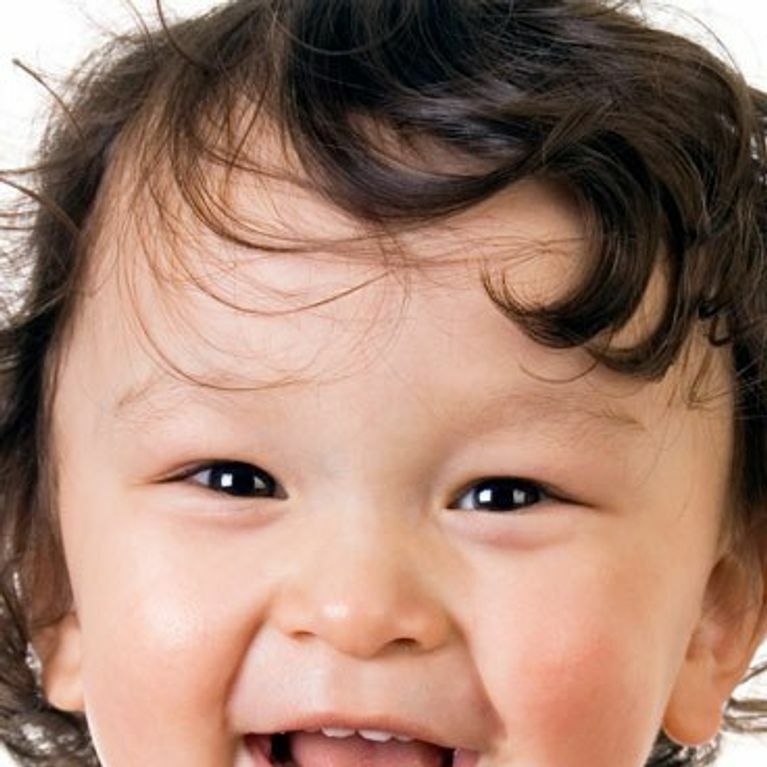 The bottom two teeth at the front tend to come through first, followed by the top two teeth. Generally, the rest will then come through. But there are other signs you can look out for too - swollen gums, flushed and hot cheeks normally on the side same side that the teeth are coming through on and a temperature. You might notice your baby pulling their ears because of pain around their jaw, being irritable, chewing on things and drooling. Sarah also says that a lot of parents notice that their little one gets a runny nose and slight diarrhoea when they are teething, but there hasn't been any official research looking at that. If your little one has a temerpature for a while you should take them to a doctor. There are four different types of teething solutions out there - teething toys, gels, powders and granules. Sophie the Giraffe is a teething toy that has been around for yonks and it's still one of the best out there. When it comes to teething gels, Sarah says you shouldn't use adult Bonjela, but Bonjela for babies is good, and for teething powders she recommends Ashton & Parons. Nelson's teething granuals that contain Camomile are a homeopathic solution and can work quickly, Sarah says that during teething her daughter was soothed in about 30 seconds with these granules. Finally, for their temperature, you might want to give them a bit of Calpol for kids. First up, Sarah says that you shouldn't give your child any medication that isn't appropriate for their age. Secondly, Sarah has heard of a lot of home remedies like putting an ice cube in a muslin and giving it to your baby or using frozen fruit. Both of these carry a choking hazard so they're best to avoid. As soon as those little teeth start to appear you should be brushing them. Use a soft tooth brush and baby toothpaste. Sarah recommends the Brush Baby Chewable Toothbrush. The baby can chew on it themselves, plus it has a ring so you can attach it to them.